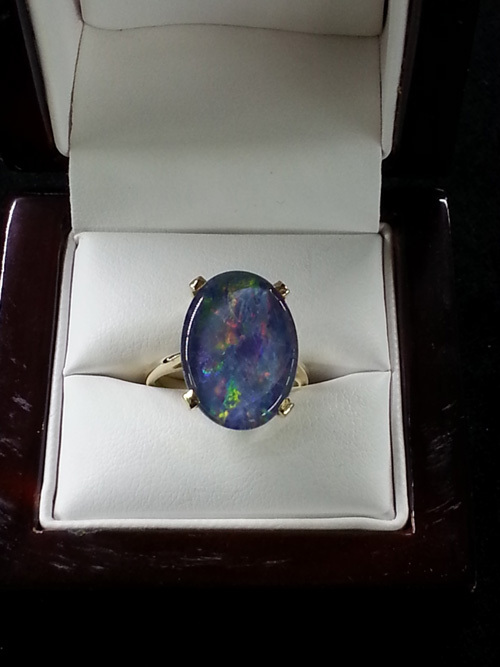 Beautiful Black Opal Ring! It measures 17.82mmX12.92! Set in 14K Yellow Gold.